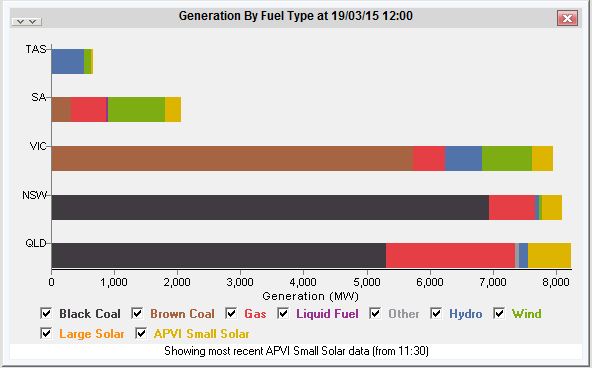 If you are interested in the relative contribution of various fuels to our electricity supply then NEM-Watch v10 will now show you generation by fuel type on both 5 minute and 30 minute basis. Use NEM-Watch to understand how the contributions of the various fuel types are influenced by factors such as time of day, weather, or demand. 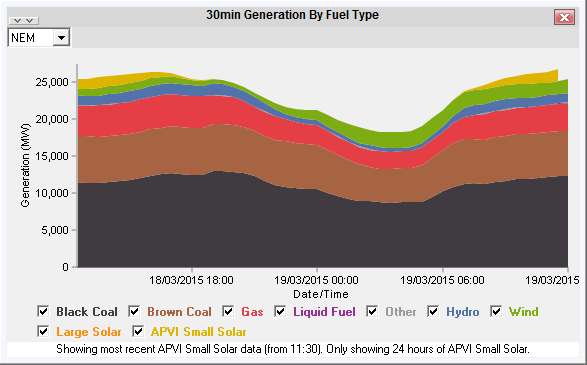 NEM-Watch also offers a point-in time view of the relative fuel use in the different regions – use NEM-Watch to understand fuel use in each of the different regions in the NEM.